Greetings, How was your week end. 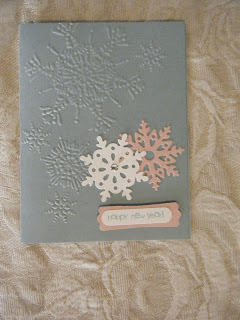 I'm staying busy preparing for an upcoming craft show. Well guess what? You are looking at that missing card and its partner in crime is here too. My assistant (grand daughter) says it was only hiding not missing. I'm so glad she is my assistant. She makes this blogging so much easier for me and more fun too. Ink: Real Red #103133 $5.95; Baja Breeze #111833 $5. So the mystery is over and I am so glad. I'm sure you are too. 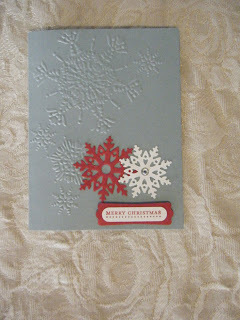 I have one more Christmas card to share. So stay tuned. 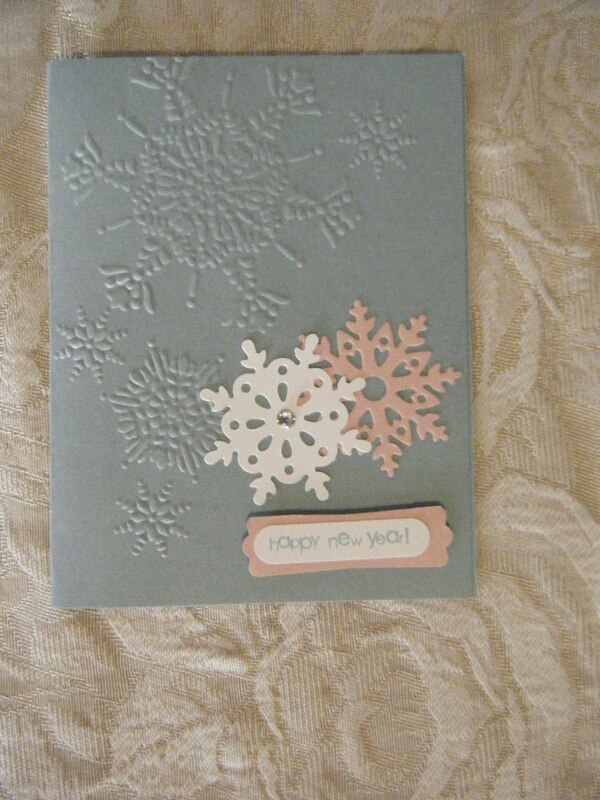 Lovely snowflake card and pretty embossing. 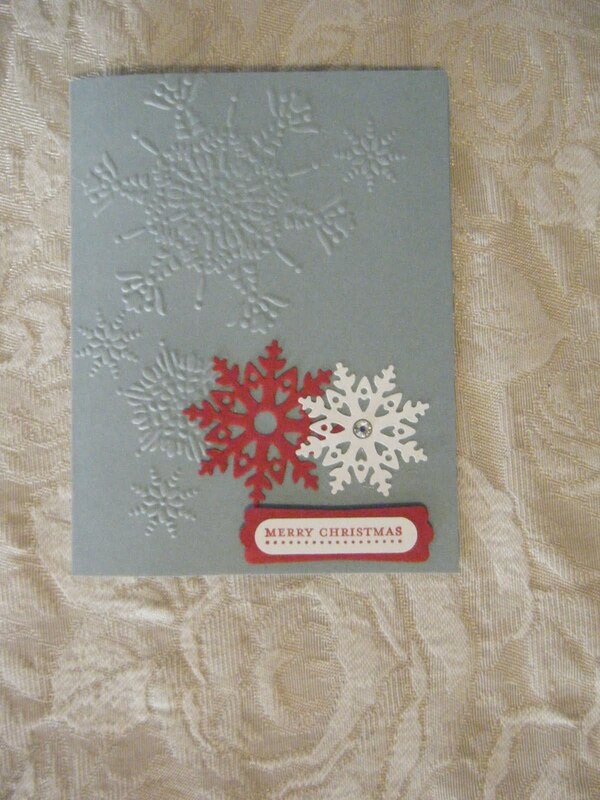 Glad you found the missing cards; I like the color combinations on them !